entrust drivers with multiple tasks. collects the payment according to the agreement. 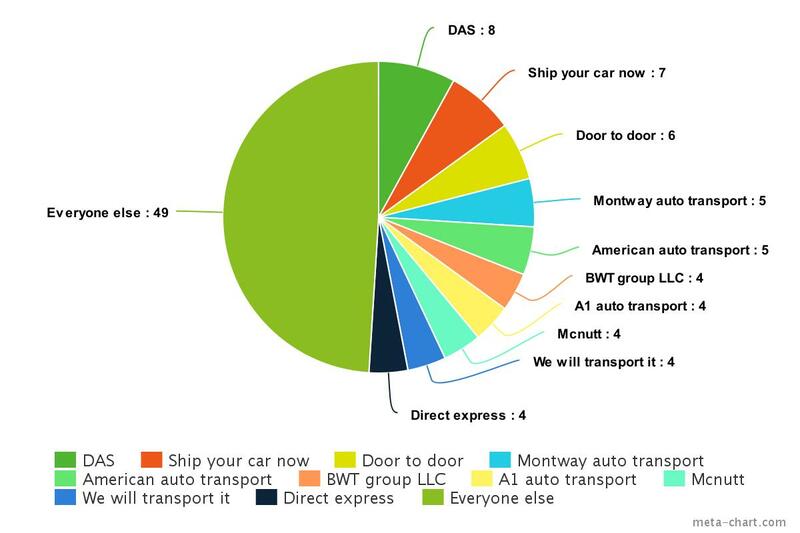 There are 10 car transport companies sharing the USA market right now. We are proud to say that we are in top 10 companies by the volume of shipped cars per year. It’s hard to compete with monsters like DAS, but their prices are 30%-40% higher due to enourmous amount of leads and traffic. They can afford to work only with high end clients who are ready to pay 400-500 additionally. There is one more problem with companies like DAS – they are shipping only from terminals. Here is a little breakdown of all top transport companies by the amount of shipped vehicles per year.